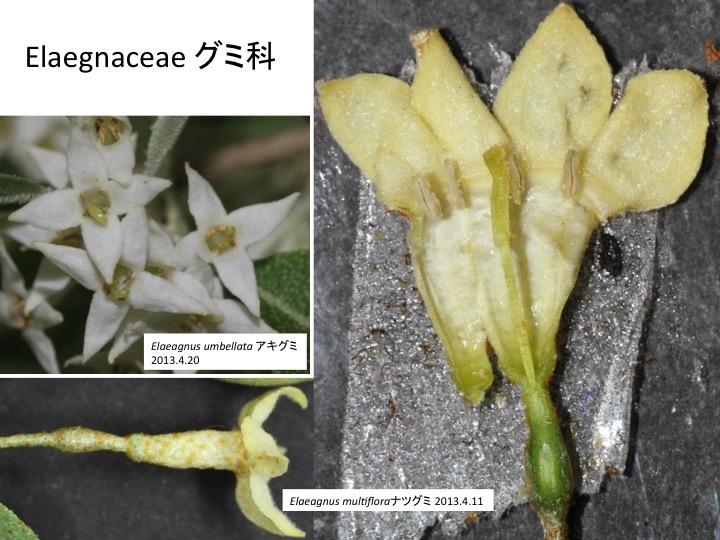 “Anthers are opposite to petals or alternate to tepals” is a synapomorphic character circumscribing the Dirachmaceae, Elaegnaceae, and Rhamnaceae, However, opposite arrangement of petals and stamens is unusual in angiosperms and only observed in the Vitaceae and Cornaceae (Richardson et al. 2000). How did such unusual arrangement evolve in the lineage. One of possibilities is that developmental program for the organ formation was changed. Arrangement of lateral organ primordia is mainly regulated by auxin (reviewed in Bartlett and Thompson 2014) and the regulation may be changed. Bartlett, M.E., and Thompson, B. (2014). Meristem identity and phyllotaxis in inflorescence development. Frontiers in plant science 5, 508. Richardson, J.E., Fay, M.F., Cronk, Q.C.B. and Chase, M.W. 2000. 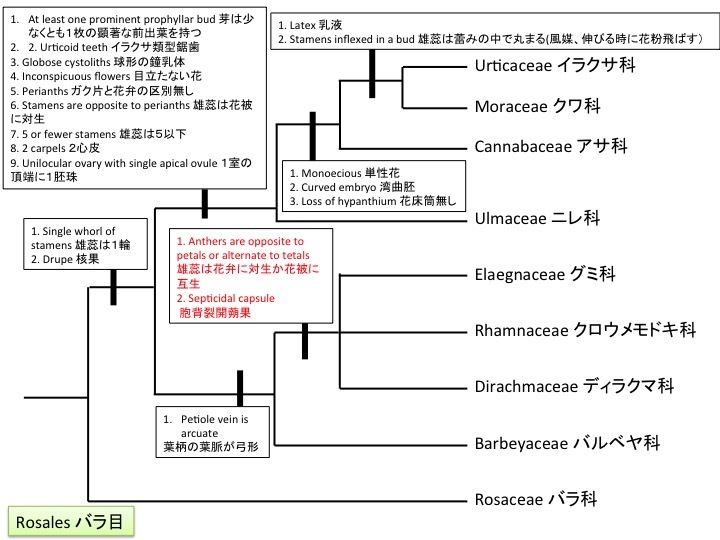 A revision of the tribal classificaiton of Rhamnaceae. Kew Bull. 55: 311-340. The second possibility is that another whole of stamens, which is alternate to petals is reduced. Gouania forms appendages that looks like reduced stamen between functional stamens. If these appendages are reduced stamen, there are two wholes of stamens and stamens formed in the inner whole should be covered by petals. 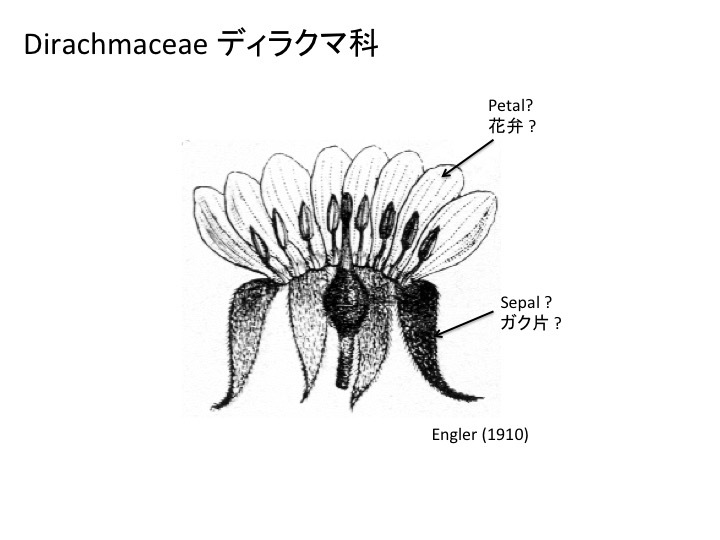 The third possibility is that petals are appendages of stamens. 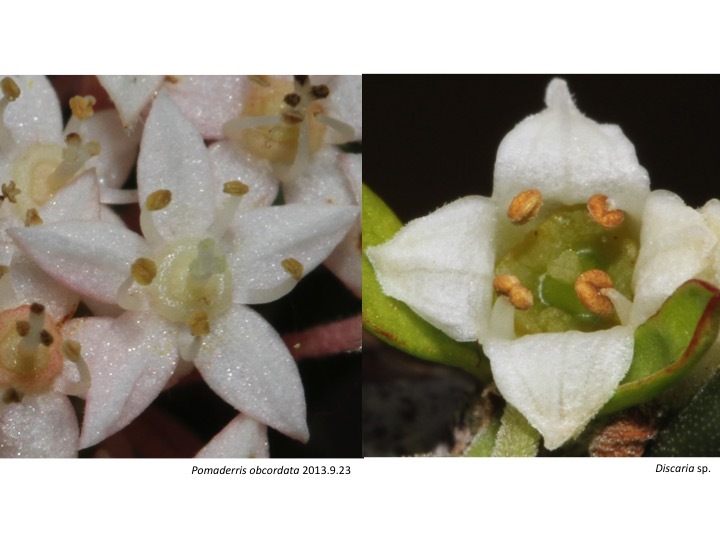 The longitudinal section of Dirachma socotrana (Bayer 2004) in the Dirachmaceae sister to the Rhamnaceae shows that a petal and a stamen are merged at the base. 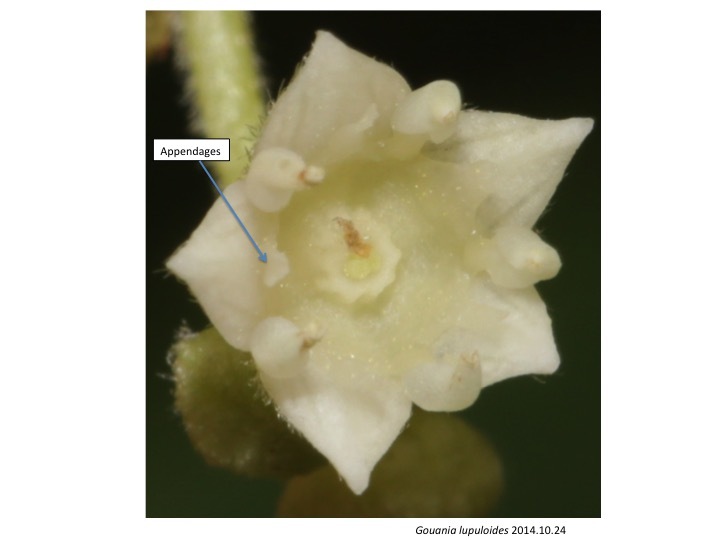 It is possible to interpret that the D. socotrana petal is an appendage of the stamen. Engler, A. 1910. Die Vegetation der Erde, Sammlung pflanzengeographischer Monographien, v. 9 Bd. I, Heft 1. Fig. 186. 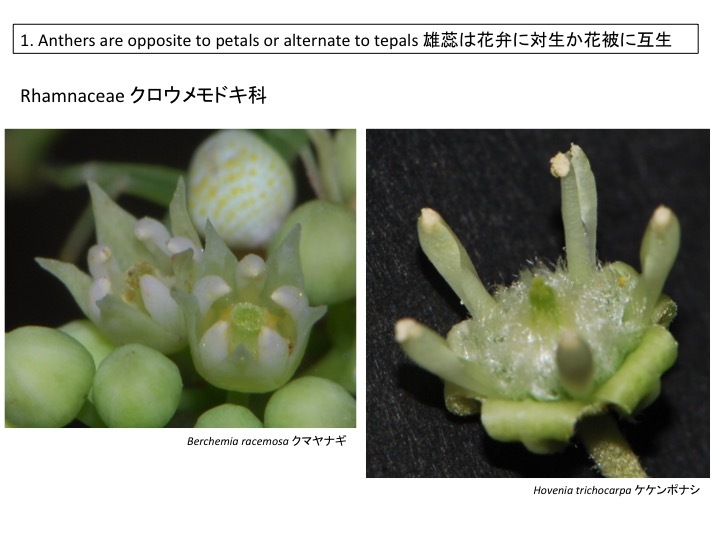 In some species in the Rhamnaceae, a single whole of tepals are formed and tepals are alternate to stamens. Flowers of Elaegnaceae species form a whole of tepals and stamens are alternate to tepals.